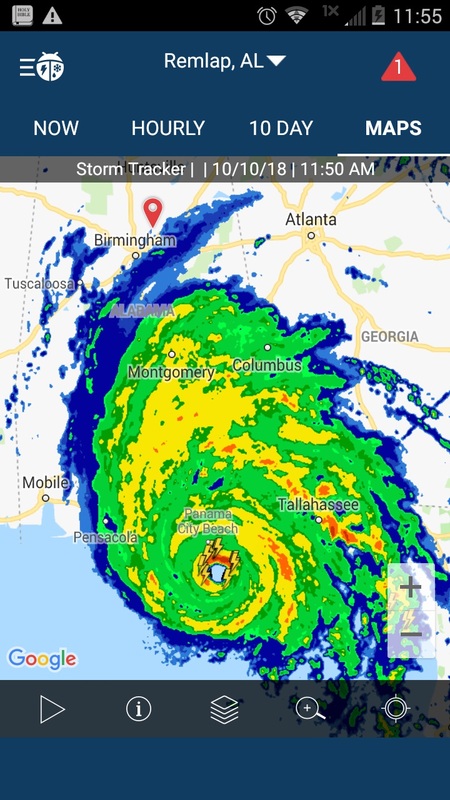 As is our habit, we have been watching Hurricane Michael coverage on television. 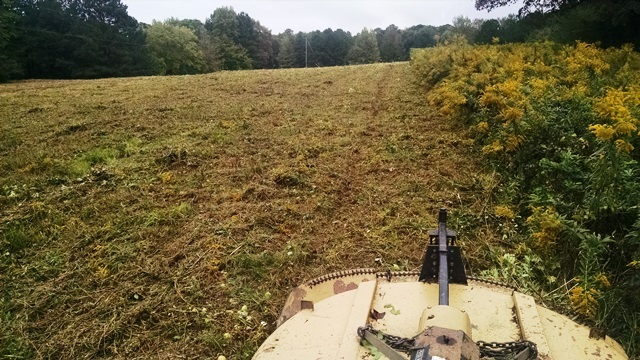 And trying to get all of the field cut before the rains arrived. Yesterday (Tuesday) started off early with errands for us and the Aunts and, of course, they took longer than expected. But the truck now has new tires, and alignment. So, Max didn’t get as much bush-hogging done as he would have liked. But he was on the tractor from about 4:00 pm until dark. This morning we looked at the weather radar and saw the outer rain bands approaching so he started back as soon as the grass was dry enough and kept going until finished. We can tell we had a wetter than usual summer because the weeds (sage grass, sumac and goldenrod) were as thick as we have ever seen them. 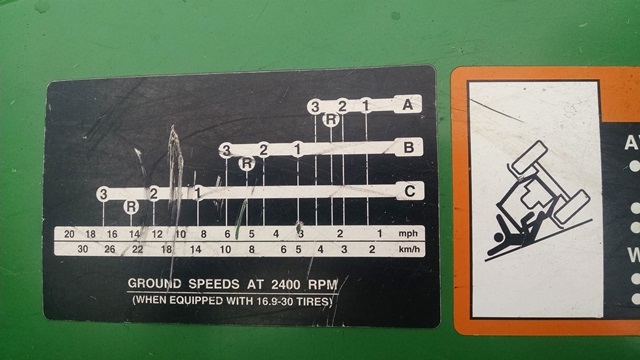 That meant he had to run the tractor a gear lower than usual – only 3 mph. Almost as soon as Max got the tractor cleaned up and put away, the rains started and it has rained lightly ever since. Then back to watching hurricane coverage. Please pray for all those in the path. And especially remember the responders and officials who have to brave the weather to do their jobs. Don’t forget all those yet to be impacted in Georgia and North and South Carolina. Anne spent most of the day working on accounting and taxes and estates. Again, Max got the better end of the deal. 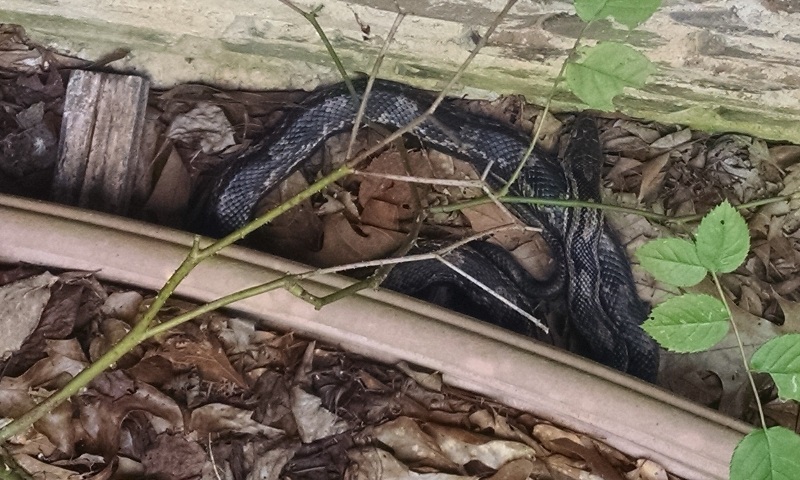 In case you think we only have venomous snakes around the house, that is not correct. We also have a few of these large natural vermin control friends around.